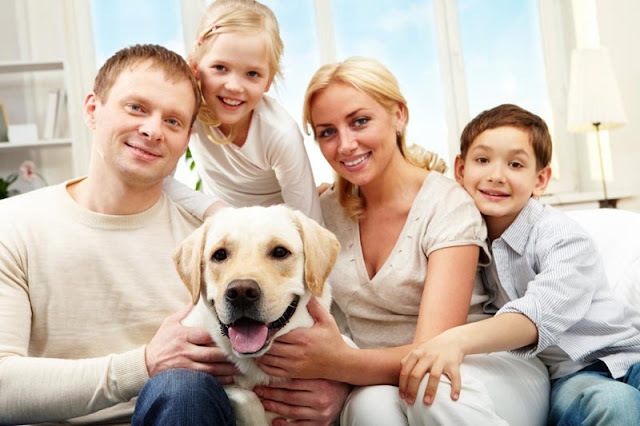 While having a dog as a pet, most of the people have got one thing in their mind that this is going to be a new member of their family, and hence try selecting the dogs accordingly. Hence, such a decision must not be taken lightly, and sufficient research should be done before moving forward with the new pet. Especially when kids are involved, there must be sufficient knowledge about the specific breeds that can manage well and be a part of the family sooner. Now, since the variety of pets is wide, and there isn’t enough scope to discuss them here, let’s just focus on the various breeds of dogs that suit in the families well. While kids aren’t very gentle as they should be, families must have the dogs that can hold their patience and be very resilient, believes Scott Jay Abraham. He has sufficient experience and does this passionately as his favorite hobby. This actually helps in keeping the safety of the kids in the families intact, and even makes the atmosphere within the house friendly. The American Water Spaniel is a highly energetic dog whose original breed is generally for hunting. These dogs specifically need to spend all their days running around, especially if you want them to sleep during the night. This particular breed is even fond of water, and biologically they have this special water resistant coat on their body as well. So if you want to have them around your baby while he’s swimming, nothing can be better than this. Being the owner of an American Water Spaniel, it is an added bonus that you will receive an exceptionally warm behavior from most of them. Even they are wary of the strangers, and hence you have the perfect watchdog to keep the safety of your house intact. Another hunting dog which is even popular as a family pet is the Basset Hound. They are one of the kinds who is sloth even when they’re hunting. So if you find a lazy piece roaming around the household, you can blindly get it as the Basset Hound. Bred generally as the pet dogs, they are completely loyal to the families, and should always be underfoot. Specifically, the medium size, which is 50 to 60 pounds, makes them widely adaptable in the living space. The only negative thing about this breed is they are highly stubborn, and you must have sufficient patience while carrying out the training program. So while you have a couple of family members free to spend enough time on them, it is a complete yes to go with. Apart from these two, there are the Beagles, the Bernese mountain dogs, the Boston terrier, Brittany or even the Cavalier King Charles Spaniel, all of which prove to be great breeds for keeping pets in the household. But according to Scott Abraham, apart from the breed, it is the treatment that makes the difference. One must keep in mind that even the dogs are individuals and their general personality must be brought into consideration while owning. Make them a part of your family, and make them feel safe and happy. You kid might not have a better companion than your dog.